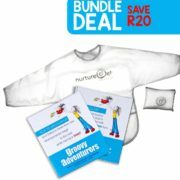 Enjoy special bonding time with your baby or toddler using our ergonomically designed wraps and carriers. 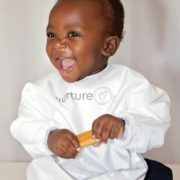 They are developmentally appropriate for your baby while simultaneously supporting your posture. Free up your hands and multi-task today! Our Bugg Carriers and wraps have been specifically designed baby carriers for the maximum benefit of both you and your baby. 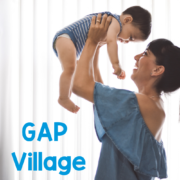 These developmentally appropriate carriers ensure that there is no stress on your baby’s spine and that his weight is carried evenly over your shoulders and hips for a comfortable fit. Just like eating and sleeping, babies need to be held. Babywearing is a wonderful way of “holding” your baby whether you use a sling, a wrap or a structured carrier. Wearing your baby or toddler allows you to communicate closeness and love while you go on with your everyday tasks. 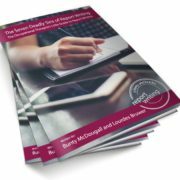 You will be able to pick up on your baby’s cues much quicker, therefore responding earlier, before he gets to the point of being completely overwhelmed. 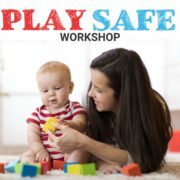 This helps your baby feel secure and strengthens the trust in your relationship. 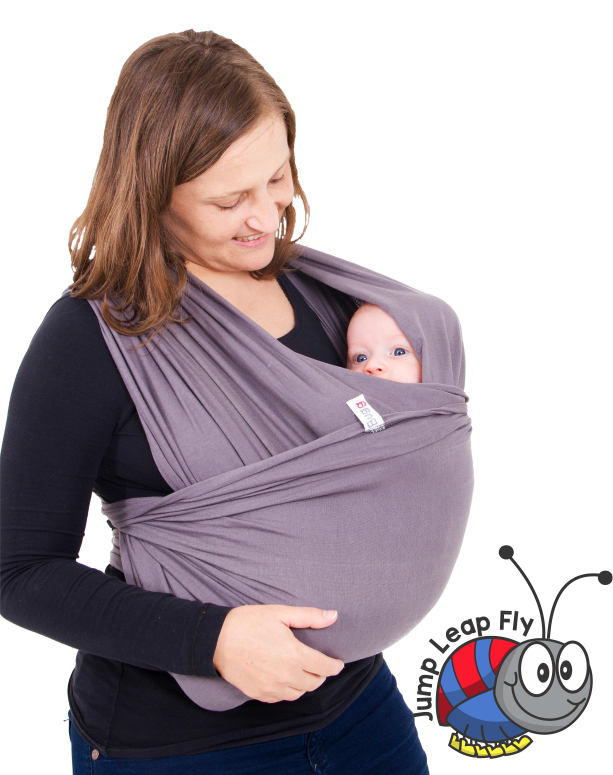 The Bugg Wrap is based on a traditional carrier being made of soft, durable and washable fabric. It will literally give your baby an extended hug while he’s being carried in it! Special attention has been given to the way your baby’s weight is carried ensuring that the bulk of his weight is carried as he sits on his bum. In order for his legs and hips to be in the most comfortable position, his knees should be higher than his bottom while carrying him (i.e. his legs should NOT be dangling straight down). By carrying your baby in this sitting position less strain is placed on his spine. The special way you tie your Bugg Wrap will ensure that you carry your baby’s weight split between your shoulders, your back as well as across your hips. This distribution of weight helps to prevent poor posture and back strain of the person doing the babywearing. 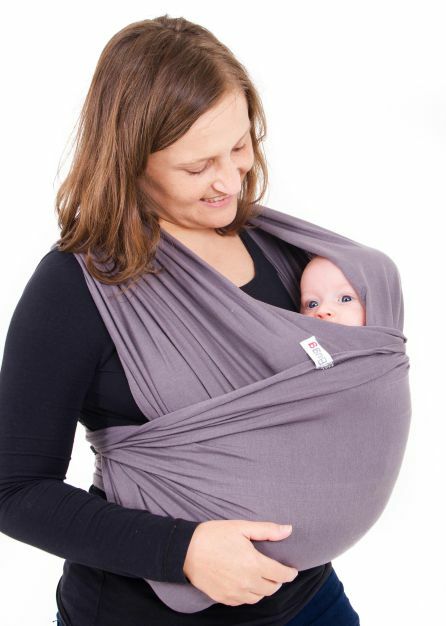 The Bugg Wrap is ideal to use with very small babies if they are positioned correctly and supported well. While your baby is still working on getting better head and neck control it is best to carry your baby on your front so that you can interact easily with him and shelter him from too much stimulation. As your baby’s head control gets stronger and he can manage more stimulation, you can also carry him on your back. In this position, he can look around more and enjoy his ever changing environment. 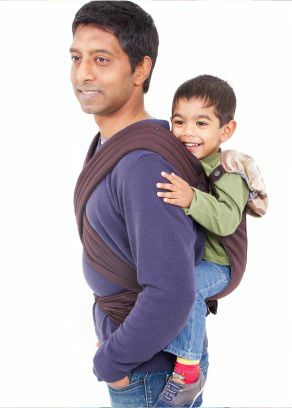 This Bugg Carrier is based on a traditional Tai carrier being made of soft, durable and washable fabrics while still having some structure to the “pouch” and straps. Special attention has been given to the way your baby’s weight is carried ensuring that the bulk of his weight is carried as he sits on his bum. By carrying your baby in this sitting position less strain is placed on his spine. The wide, padded straps and waistbands ensure that you carry your baby’s weight split between your shoulders, your back as well as across your hips. This distribution of weight helps to prevent poor posture and back strain of the person doing the babywearing. It is easy to fold up and tuck away in a nappy bag. The long straps make it easier for all caregivers to wear – Mom, Dad, Granny, Nanny can all use the same carrier. Although the Bugg Carrier can be used with very small babies if they are positioned correctly and supported well; it was designed for babies that have some head and neck control. This usually develops between 3 and 4 months. During this stage, it is best to carry your baby on your front so that you can interact easily with him and shelter him from too much stimulation. As your baby’s head control gets stronger and he can manage more stimulation, you can also carry him on your back. In this position, he can look around more and enjoy his ever changing environment. The Bugg Carrier can be used with toddlers as well, who generally prefer to be carried on your back. Babies are more securely attached to their caregivers due to a sense of security and trust and become independent earlier. Babies cry less, especially in the evening hours. Babywearing helps to organise their sleep/wake cycle. The carrier helps to block out unwanted stimuli e.g. bright lights. Carriers can calm an over-stimulated baby quickly, effectively and without your arms getting tired. Babies adapt more quickly to changes in their environment, especially premature babies. Baby’s heart rate, breathing and temperature stabilises and remain within normal limits faster and for longer periods. Babies spend more time in a “quiet, alert” state, which is most supportive of learning. Babies get fantastic vestibular (movement) and proprioceptive (body position) stimulation, which is helpful for calming, the development of balance and a sense of their bodies. Caregivers can go for a walk while baby sleeps (no heavy prams). You can feed your baby discreetly and block out distractions. Catch up with sweeping, vacuuming, dusting with two hands. Allows you to spend time playing with an older sibling, with both hands. Helps to lessen the burden of caregiver depression by increasing bonding. Mom, Dad, Granny, Babysitter, Nanny can all wear your baby.